Reminder! The studio is open this week! Classes WILL BE HELD. Registration is now open for the 2019/2020 Dance Season! Click the "Register" button found below, on the Navigation panel, or drop down menu to register! Register before the dance revue to get the discounted rate! Also scroll down to see our April Student Spotlight winners! We are proud of you! This week is BOTH Hip Hop "A & B" (4/25/19). The hip hop schedule for the rest of the year has CHANGED AND BEEN UPDATED!! You can find the hip hop schedule here for future dates. REGISTER FOR 2019/2020!REGISTER FOR 2019/2020! Dance Warehouse provides a safe and fun environment for dancers of all ages. We specialize in well rounded dance education taught by top quality instructors. We aim to provide experiences and lessons not only in dance but in every day life. Our emphasis is on physical and social growth, which we achieve through discipline. Through classroom lessons, stage performances, and competition, we nurture the love and art of dance. We want our parents and students to feel completely informed. If there is anything you are a little concerned over, please let us know and we'll discuss all of your options with you. Welcome to our new Parent Portal! By clicking the button below, you can now log into our system, change any contact information, view your child's classes, and pay tuition online! All parents who are already in our system need to make an initial log in to set your own password by clicking "Forgot Password". Your username is the email address we have on file. Have a question? Brush up on our Policies and Procedures or scroll down to view the FAQ's below! Our website is mobile friendly! Bookmark it on your phone so you can check it easily for important revue information! April 1st - 3rd - Picture Week at the Studio. **No classes Monday - Wednesday! Classes resume Thursday April 4th!! You now view your child's costumes online and download a pdf of the costume descriptions. The Costume Descriptions are now available to download. They are located underneath the images of your child's costumes on the Costume Description page. Below is the Picture Week Schedule. Please remember to arrive 15 minutes before your child's scheduled class picture. All individual photos will be taken after your child's primary dance class. If your child is in a hip hop, pointe, or acro class please also be aware of those class times as well. All classes will resume Thursday, April 4th. TICKET SALES: All Revue tickets will be purchased ONLINE through The Heymann Ticketmaster System. Revue Tickets will go on sale beginning April 16th at 10am. They will remain on sale till April 21st at 5pm for all DW families. You will be able to purchase as many tickets as you need for each revue. On April 22nd , tickets will go on sale for the general public beginning at 10am. DW will provide The Heymann Center Box Office the student’s name, purchaser’s name, purchaser’s email address and phone that you have provided to us. If there needs to be an additional ticket purchaser listed with Heymann, please email renee@dancewarehouseinc.com. You will receive an email from The Heymann Center on April 6th that will contain an account number and a password. It will also contain detailed instructions on how to purchase tickets online. Online tickets are purchased by using a credit card. Tickets are $20 each, $22 for the general public. Congratulations to our April Student Spotlight winners! Their hard work and passion for dance got them noticed! Congrats girls! Q: How much is tuition for my student? A: Tuition varies depending on which classes your child is enrolled. Your monthly installment includes monthly tuition, recital fees, recital T-shirt, and the recital DVD. This information is broken down on our Policies and Procedures page. Q: When are costume fees paid? A: Costume fees are separated into 2 installments (3 payments if your dancer is enrolled in the Junior level class or above). These payments are due, along with the regular monthly fees, in August and October (& November, if your child’s fees are divided into 3 installments). The payment dates are posted on our calendar, which can be accessed through the Parent Portal. Q: When is Tuition due? A: Tuition will be charged to your preferred payment method on the 1st of each month. If the 1st of the month falls on a weekend or holiday, tuition will be charged on the first business day following the 1st of the month. The payment dates are posted on our Policies and Procedures page. Q: Do I have to use online tuition, or can I still pay with checks? A: Online payments are preferred, and encouraged, for your convenience. Checks and cash will be accepted on the 1st class of each month. These payments can be left in the lobby drop box, labelled with your child’s name. Q: How do I register if I am a new student? A: We now have online registration; simply click here, fill out and submit it to the studio! Your dancer will not be considered fully registered until the registration fee is paid. Q: How do I register if I am a returning student? A: Returning students can re-enroll by logging into the Parent Portal. A re-enrollment fee will be posted to your account. Your dancer will not be considered fully registered until the re-enrollment fee is paid. Q: How do I know what class my child will be in? A: View our Class Curriculum page to find out more about the classes we offer. Final decisions concerning placement are made by the teacher. Once your child is registered, he/she will be enrolled in a class by the studio. You will then receive a confirmation email with more details. Q: I want to add/drop a class. How do I do that? A: Our Add/Drop policy can be found here. All classes that are dropped or added after initial registration must be submitted via paperwork. A 2 week notice is required to drop a class. You are responsible for fees due during those 2 weeks. COSTUME FEES WILL NOT BE REFUNDED FOR A DROPPED CLASS. Q: How do I book a private lesson? A: Please contact the studio to schedule a private lesson. Q: What is the dress code? A: The dress code can be found on our Policies and Procedures page. Q: When do classes begin? A: Classes begin August 20th, 2018. 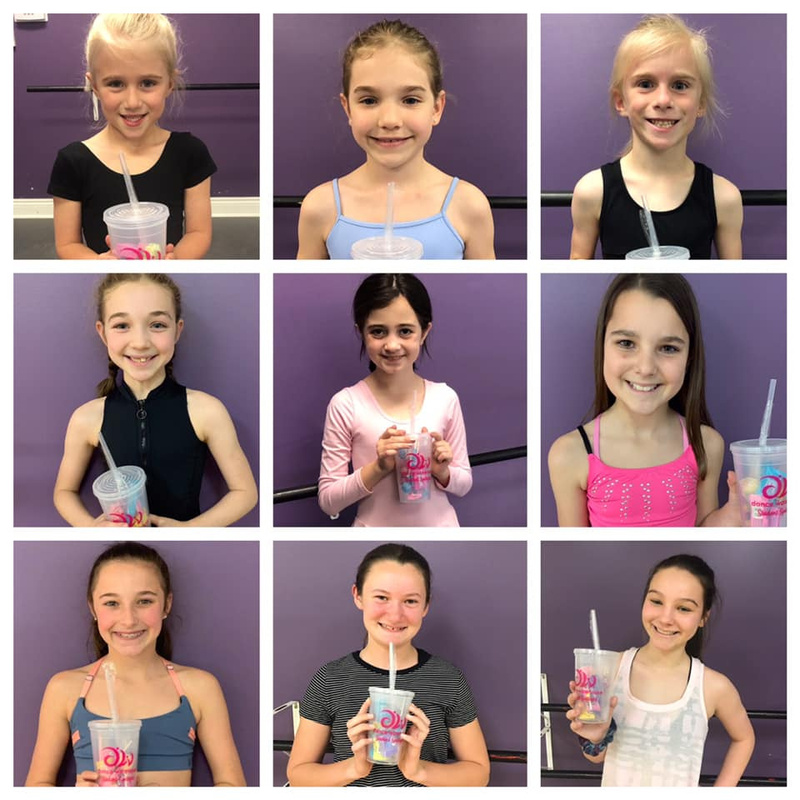 Q: When are the holidays for Dance Warehouse? A: The holiday schedule can be found on the Policies and Procedures page. Q: When is the Dance Revue? A: This year's recital is May 12th, 2019. Q: How do I know which Revue I am in? A: If your class ends in a "I" or an "A", you are in the afternoon performance. If you class ends in a "II" or a "B", you are in the evening performance. Juniors class, Junior Advanced class, and Advanced classes as well as Jr High Hip Hop and Advanced Hip Hop are in both revues. Q: Who receives an award at our Annual Revue? A: Awards are given to those students completing their 3rd, 5th, 7th, 9th and up years of dance, as well as Perfect Attendance. All years of dance transfer over from other studios.